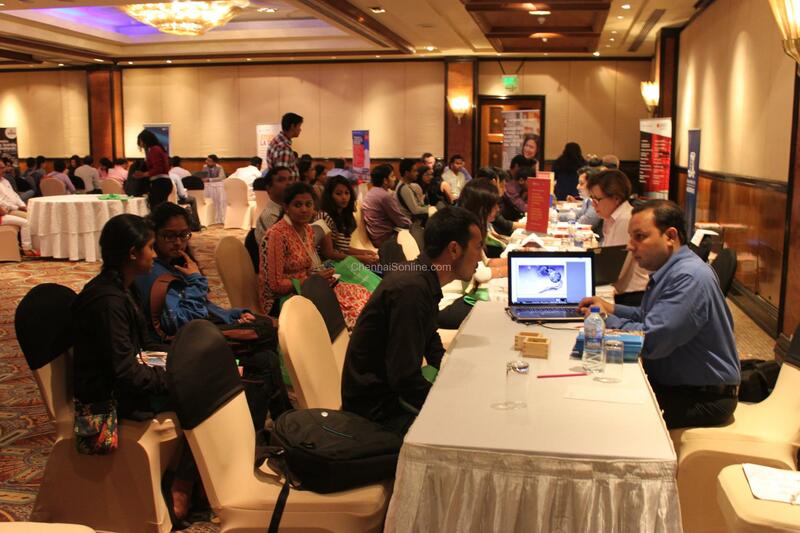 17th February 2016: IDP Education India, the leading student placement service provider will organize IDP’s UK, USA, Canada & New Zealand Education Fair – Canada, New Zealand, UK and USA in Chennai on Sunday, 21st February 2016 at ITC Grand Chola from 11 am to 4 pm for students aspiring to pursue higher education abroad. IDP Education Fair in Hyderabad will have representatives & faculties from the Canada, New Zealand, UK and USA who will come together to meet Indian students aspiring to study in their countries. IDP Education will be hosting the IDP’s UK, USA, Canada & New Zealand Education Fair in India across 14 cities from 9th Feb 2016. Spread over a period of two weeks, the fair will kick-start from Kolkata & Ludhiana and conclude in the southern city of Coimbatore on 23rd February 2016. The fair will see over 85 universities and colleges from the Canada, New Zealand, UK and USA interact with Indian students aspiring to pursue higher education in internationally acclaimed institutions. IDP’s Education Fair will offer students the opportunity to explore various study options available across four countries. The fair will be held in the cities of Kolkata, Ludhiana, Chandigarh, Gurgaon, New Delhi, Mumbai, Ahmedabad, Pune, Bangalore, Vijayawada, Chennai, Kochi & Coimbatore in addition to Hyderabad. Mr. Harmeet Pental, Regional Director (South Asia, North America & UK), IDP Education, said, “IDP Education is world’s leading student placement service provider and organizes education fairs across the IDP global network. With over 200 university partners across the 5 major global destinations, IDP is best placed to offer students the choice to find the course best suited to them. With an experience of over 45 years, IDP places one student every 20 minutes across the globe and has placed over 400,000 students worldwide. Mr. Piyush Kumar, Country Director, India – IDP Education said, “IDP India seeks to provide a platform to aspiring students to come and have a face-to-face interaction with the university representatives and get answers to all their queries related to studying abroad. One can also visit IDP office to pre-register for priority processing and detailed counseling with IDP’s well trained and experience destination counselors. Our goal is to assist and guide the students & parents with the right advice through all the steps from initial exploratory stage of course and university selection to application submission to arrival on campus”, added Mr. Kumar. IDP Education Limited is an ASX listed company that is 50% owned by 38 Australian universities. For more than 45 years, IDP has played a major role in international education by offering comprehensive counseling services to students & having placed more than 400,000 students into quality institutions in Australia, the United Kingdom, the United States of America, Canada and New Zealand. Currently, IDP in India has counseling centers in 17 cities guiding students and their families through the entire process from university/course selection through application/visa process and pre-departure planning. For more than 45 years, IDP has been helping students and their families find the right fit for their dream of higher education. IDP is a proud co-owner of IELTS (International English Language Testing System). IELTS is jointly owned by British Council, IDP: IELTS Australia and Cambridge English Language Assessment. Since its launch in 1989, IELTS has become the world’s most popular high-stakes English language proficiency test. Over 9,000 organizations worldwide accept IELTS as evidence of English language proficiency. Last year more than 2.5 million tests were taken globally. IDP Education offers the IELTS test in more than 400 test locations in 50 countries.